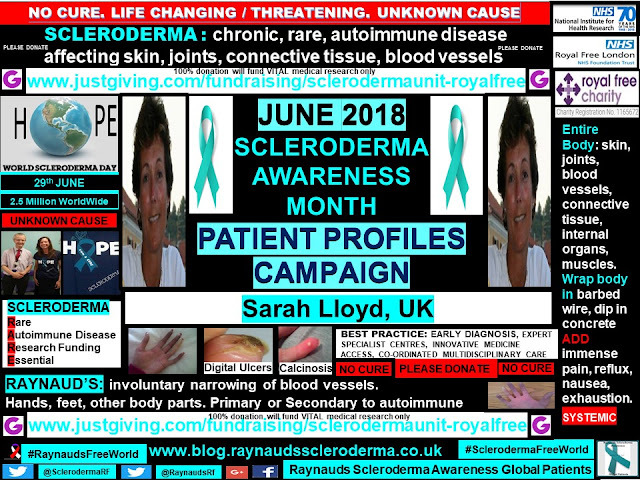 Raynauds Scleroderma Global Patients: Sarah Lloyd, UK. 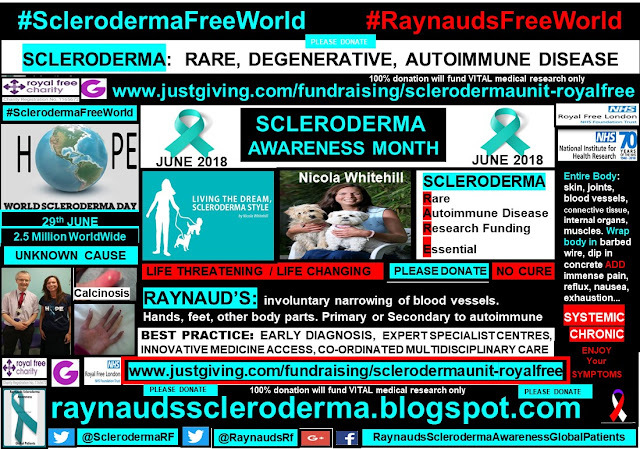 June Scleroderma Awareness Month 2018. 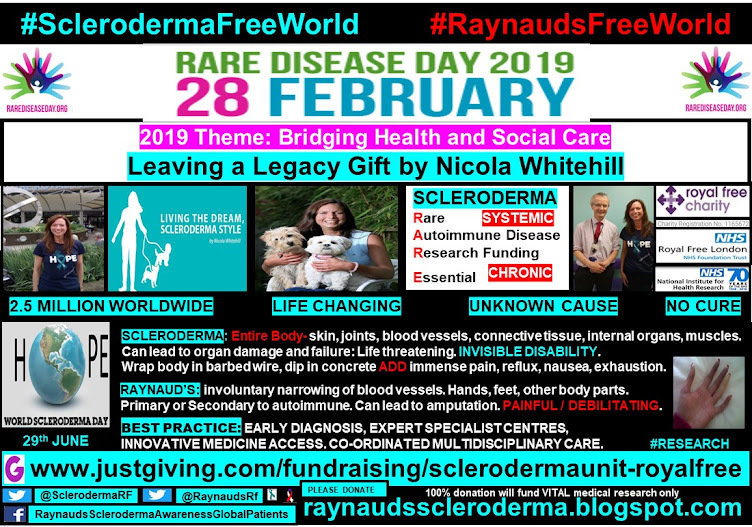 Raynaud’s, Autoimmune Rare Disease. 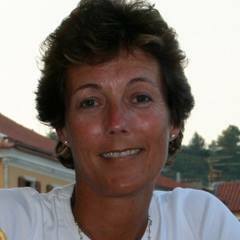 Sarah Lloyd, UK. 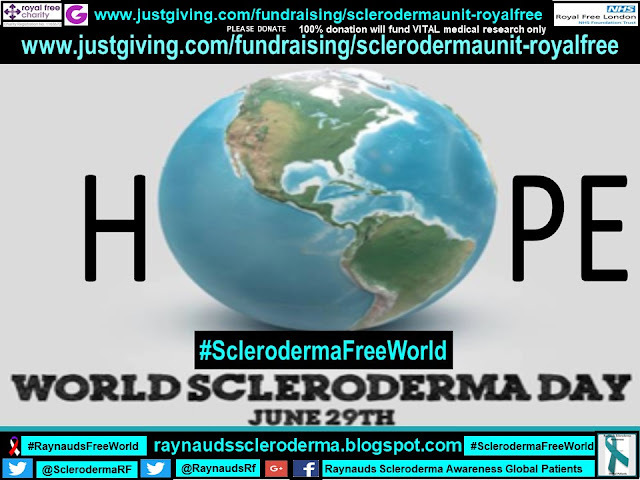 June Scleroderma Awareness Month 2018. 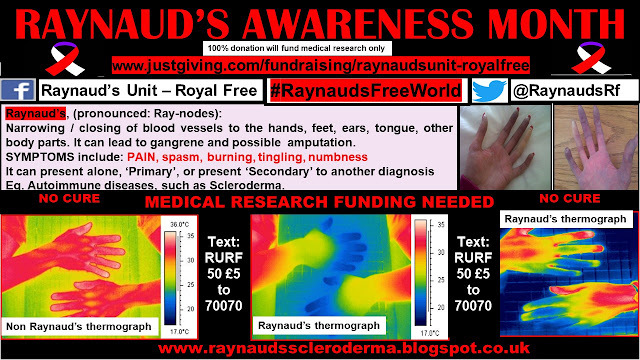 Raynaud’s, Autoimmune Rare Disease. 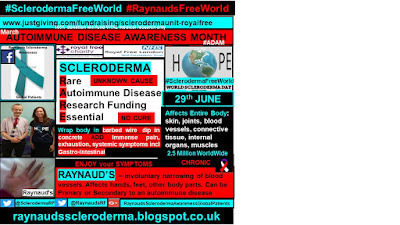 The Royal Free Hospital: Raynaud's & MCTD - Dame Carol Black & Prof. Chris Denton. 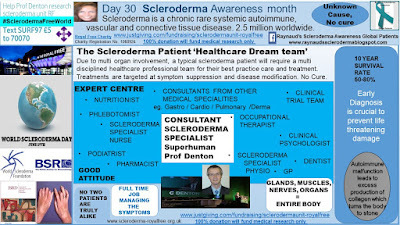 Systemic Sclerosis - Prof. Chris Denton. Circulation cut off / blue fingers. Thickening & hardening of the skin over the body. I have one finger ulcer which has been troubling for two years. No new finger ulcers though. Management: Lots of moisturiser, hand exercises -massage, manipulation, putty etc. 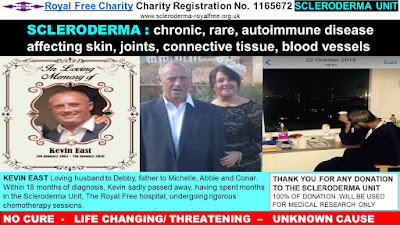 I am nearly two years post Stem Cell Transplant for Diffuse Systemic Sclerosis. 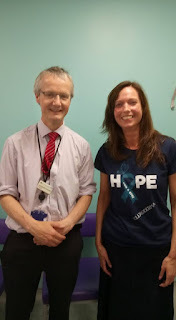 My treatment has definitely stopped the progression of the disease. 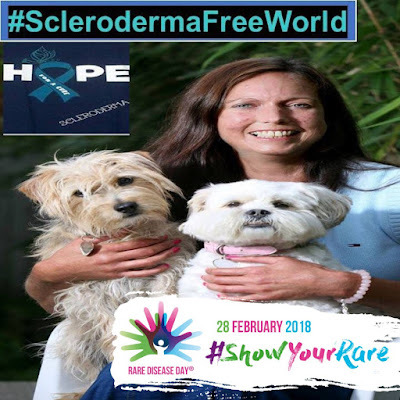 I could not walk more than 20m pre-transplant and my skin score was 42/51. Now my skin score is around 8. My digestion is much improved and my overall ability to do things is better. I still have thick skin in my face. The biggest thing though, I am afraid, is that my hand function is a lot worse. 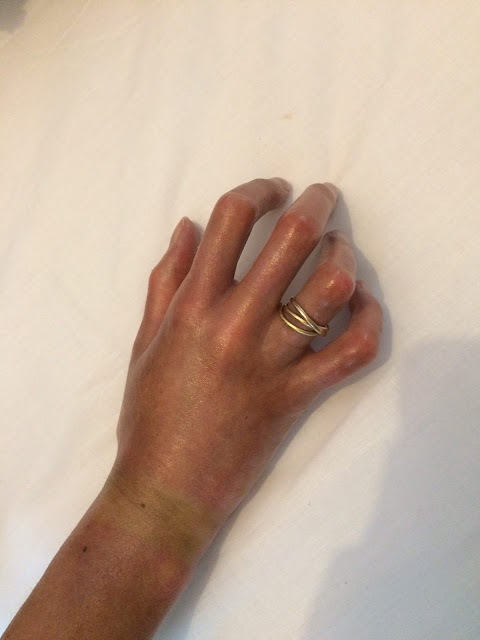 Although my skin has loosened up to my wrists, it is still very tight and constrictive in my hands, and my finger contractures have increased a lot - despite exercising and massaging every day. I use only my thumbs and index fingers to make things happen. Thickness of skin in hands and face. Several - I am afraid I can’t remember. 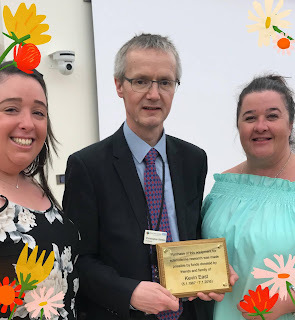 My first one was Prof Denton’s Heparin trial abut 25 years ago! I am currently taking part in an online SPIN trial. 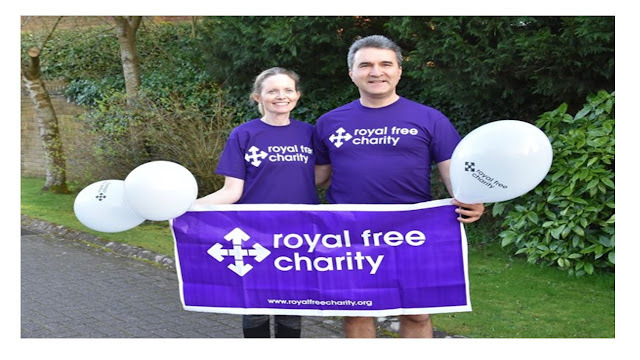 From Dorset to the Royal Free is 2.5-3 hours. 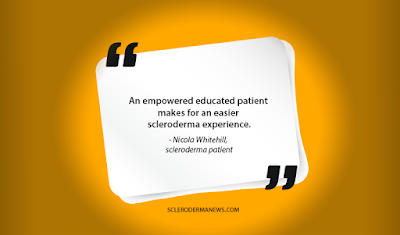 The more research that can be done to find a cure for this disease, the better. The trials can provide benefits for many, not just few. 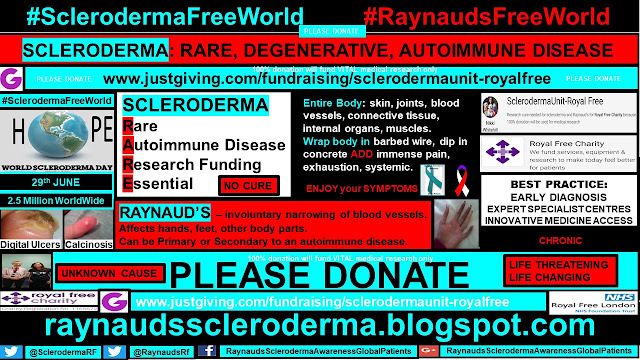 Since transplant, my medical appointments were every three months (Haematology & Rheumatology) and are now going down to six, which is good. 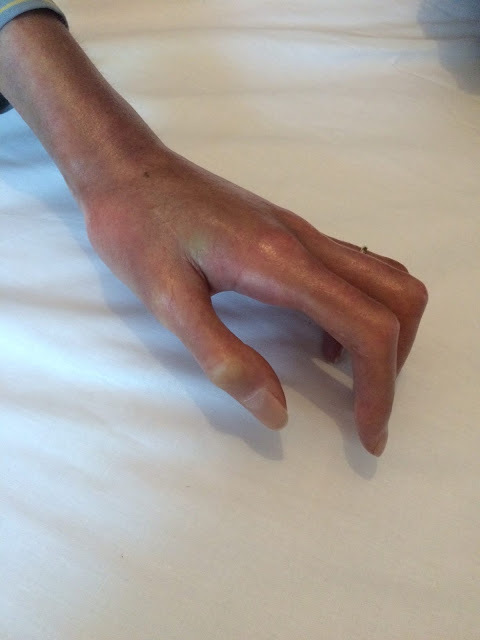 The contractures on my hands have, unfortunately, got worse. So I exercise them a lot, using putty and stress balls to try and stretch them out. My husband massages and manipulates them for two hours a day, without fail, just to try and get them to be more flexible. The fact that my hands seize up so easily means I am still limited in what I can do. I can drive, but not too far. I can lift light things for cooking (one plate at a time etc) and I can do laundry. Ironing is a no-go (neither is knitting!). 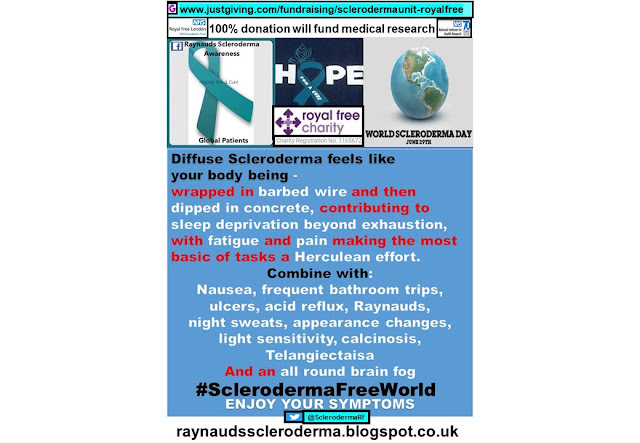 The warm weather naturally makes them more flexible but the cooler weather is a nightmare; they just seize up, which is frustrating for doing any kind of admin or for going out. I can walk and I do as much walking as I can, as long as I am wrapped up warm. In the meantime, I look after the household and am doing what I can for my daughter in terms of preparing for university / conservatoire in Sept 2019. 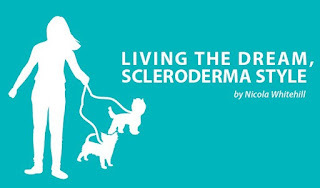 Big Thanks go to Sarah, for sharing her scleroderma and Raynaud's experience for Scleroderma Awareness Month. 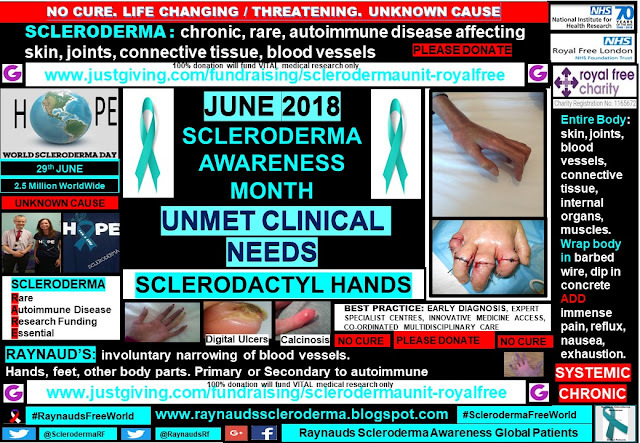 And, huge thanks for the use of Sarah's hand image to highlight the 'Sclerodactyl, Clinical Unmet Need'.